This book, which I co-wrote with John Killick, is intended for people who would like to use creative writing as a tool to explore themselves. 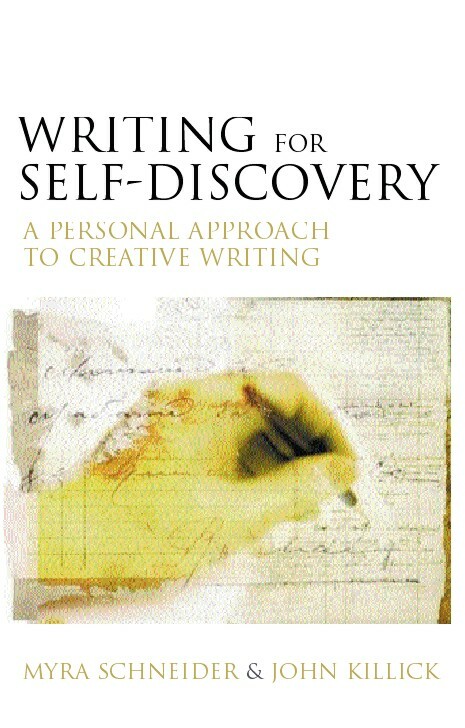 It is addressed both to those who may have had little experience of writing and to practised writers who would like to deepen their work through self-discovery. After an introductory section which offers some easy ways of getting in touch with feelings it introduces a series of basic techniques with many examples. Most of these are by people who have been to Myra and John's workshops. Later chapters draw on these techniques in suggesting approaches to writing about inner and outer worlds. Part Four examines in detail seven possibilities for the development of raw material into different kinds of prose or poems. Part Five looks at ways of keeping a journal and points to consider in writing an autobiography. The book ends with five sections which show with commentary and illustration how well and little-known writers have tackled major personal themes. Throughout there is reference to literature with a strong focus on poetry, autobiography and autobiographical fiction. Here is another way to start Flow-Writing. Write down two or three of the following: a feeling, a colour, a food, a sound, a smell, a texture, something you've said or thought today, an object you've handled, a plant you've seen, an animal, the name of a person you know or have known. Now make up a sentence using at least two of the words you've written down. Let this be the first sentence of your Flow-Writing. Any of your preliminary words may have an influence on it.